Q. Can I rent a portable toilet for just one day? A. Our toilets are ideal for weekend parties, or even a one-day party. It is always best to call at least two days prior to your event to ensure proper delivery times. Q. How much advance notice do I need to reserve a portable toilet? A. To ensure we can service you it is best to make your reservation as far in advance as possible. 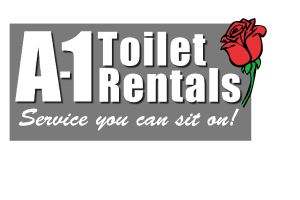 At a minimum it is best to place your order for portable toilet service at least 48 hours in advance. For large special events or weekends in the summer, a week or more lead-time is advisable. For urgent needs we are often able to deliver toilets the same day. Q. Where can I place my portable toilet? A. 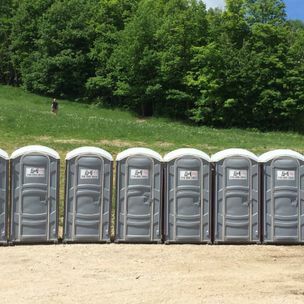 We can place your portable toilet(s) at your event or on your jobsite per your instruction. We will make every reasonable effort to accommodate your wishes as to placement on the portable toilet. Some instances will require a different location than you first thought to make sure our trucks and employees are able to properly service the unit without harming your property or putting our employees at risk. Q. How do you keep the water from freezing? A. We mix a brine solution with the deodorizing water that is placed in the tank and works to keep the water liquid during the colder temperatures of the year. Q. Do I need a portable toilet on my jobsite? A. It is the law that you have a flushing portable toilet with waterless hand sanitizer on your jobsite, that is the minimum. Q. What is the frequency of service on my monthly rental of a portable toilet? A. We service portable toilets once per week. This is done to keep the units fully stocked, clean and sanitized. The fee for the toilet includes the rental and once per week service. We can provide service more frequently if required. Q. Where do you dispose of the waste after it has been pumped? A. Wastewater is taken to local wastewater facilities and disposed of according to the regulations, procedures and sanitary conditions required by the facilities. Q. What do I do if my portable toilet gets tipped over? A. Contact our office at 519-599-2859 as soon as possible to report the incident. We will then dispatch a driver to come to the site and clean the unit or switch out the portable toilet with a replacement depending on the severity of the tip over.